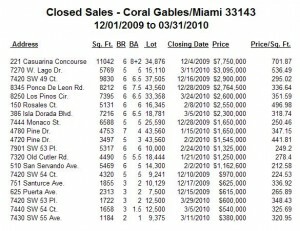 The table below reports closed sales of single-family homes in the portion of zip code 33143 east of Red Road (SW 57 Ave.), including neighborhoods in Miami and Coral Gables. 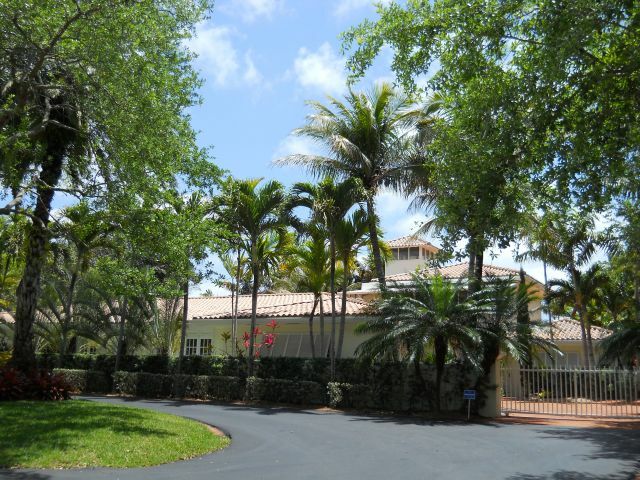 In that area, the 33143 zip code extends from Sunset Drive (SW 72 St.) south to Kendall Drive (SW 88 St.). Recently closed sales are the principal guide to current property values in a local real estate market. Data are from tax records, and thus include transactions not appearing on the MLS. Although this is a first-quarter review, closed sales from December 2009 are included. The originally scheduled November 30 expiration of the $8,000 homebuyer tax credit makes December 1 a more interesting time to start the real estate sales “quarter.” If buyers behaved rationally, the $8,000 credit should not have made much difference for mid-range to luxury real estate in Miami and Coral Gables. But you cannot assume the real estate market is rational.